Barcam is the 613th highest place in Ireland. Very heavy mist came in as we climbed Barcam. We'd parked at the car park across the road at the JI Fanning Pass. Unfortunately the faint track has been flooded and very boggy ground made it very difficult to day. 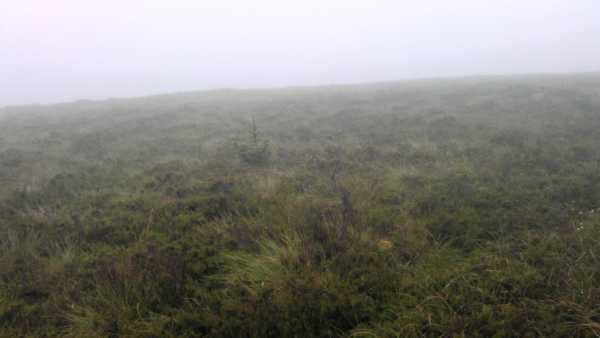 Having tracked sideways to see decent footing, we then got lost in mist ( GPS was all over the place with low cloud) and ended up coming back through the forest paths down to the safety but distant car park up from Tulla and Crumlin. Saw the pole referred to in summit area, but took picture of some of the lonesome pines growing in the heather.